DX is on track with its turnaround plan, chairman Ron Series told shareholders at the company’s annual meeting. He said: “The group’s turnaround continues to progress well, and trading in the first four months of the new financial year has been in line with management expectations. “We are encouraged by the turnaround both operationally and with new business development at DX Freight, which includes our irregular dimension and weight and logistics activities. 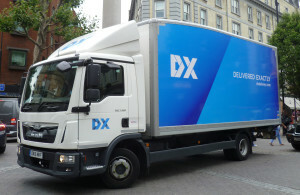 DX Express, which incorporates DX Exchange and our Secure and Courier operations, is benefiting from the organisational changes we have made, our renewed focus on sales, and improved service levels at DX Exchange. “We remain on track with our turnaround plans, and expect to report on further progress at the time of our interim results,” said Series.